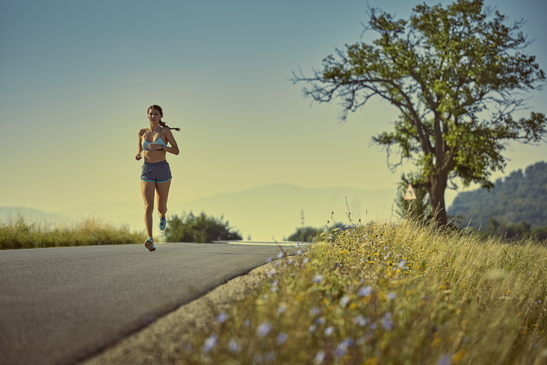 Summer is the perfect time to exercise outside: longer days, more sunshine and bathing suits. However, hot summer days can be dangerous if you don’t know how to prepare and stay safe while you work out. 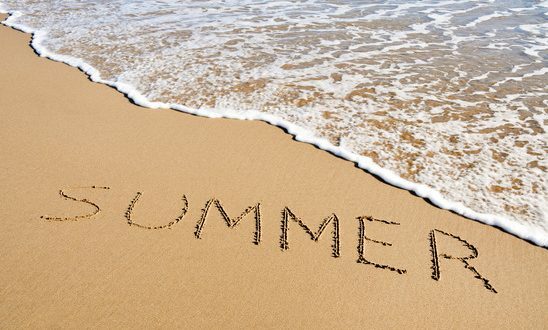 Keep these tips in mind as the summer heats up at the end of the season. It’s critical that you hydrate with 17 to 20 ounces of water 2 to 3 hours before your workout. You can drink 7 to 10 ounces every 10 minutes, depending on how thirsty you feel and how much you sweat. The more you sweat the more you should drink. At the end, drink 16 to 24 ounces for every pound you lost, all of which is water weight. Light colors, specifically white, reflect the sun making it less hot on your body as you work out. Make sure these clothes are well-ventilated as well. Sweating is your body’s way of releasing heat and cooling your body. 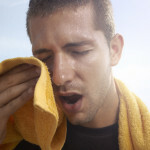 Clothing that doesn’t allow the sweat to evaporate off your body can cause you to overheat and suffer from muscle cramps or heat stroke, both of which are dangerous conditions that you can avoid. The sun is lowest in the morning and late afternoon/evening. Find a time to work out outside during these periods of the day. Always wear sunscreen and a hat, even if it’s overcast. It’s on these days that people get burned because the sun’s rays are still reaching you, even though you don’t feel it. Look for sport protection sun block, so it won’t wash away with your sweat and a hat with netting. This is where you hold most of your heat so you want it to be well ventilated. Even the most careful athletes can suffer from these heat-related injuries. Know the signs so you can slow down, find a cool place and seek medical attention if necessary. If you experience any of these symptoms, stop exercising, move to a cool area, elevate feet to 12 to 18 inches, and drink plenty of fluids. If the symptoms don’t subside, seek medical attention. If you experience any of these symptoms, stop exercising, remove as much clothing as you can, use wet towels, ice or a fan to cool down as quickly as possible, drink fluids, and go to the emergency room immediately.